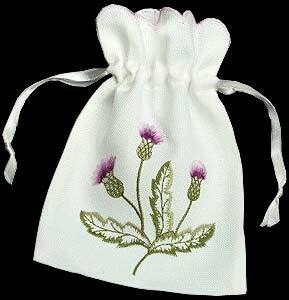 A selection of our designs have been beautifully embroidered onto gift or pot pourri bags. These large bags can be used for bigger gift items including jewellery, rune stones and tarot cards. We have expanded our product range to include embroidered gift bags. The large gift bags can be used as gorgeous packaging for small gifts and also for pot pourri, and the small gift bags can be used as favour bags for weddings. All bags are available filled with lavender grains. All items can be gift wrapped and sent with a personal message at no additional cost.